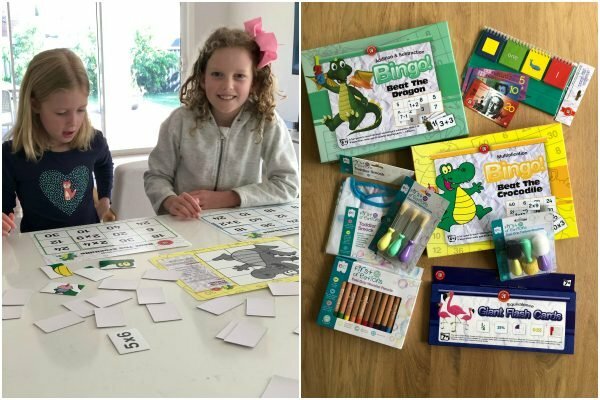 Learning for kids: Educational toys that are good for reading and numbers. In a few weeks I will have been a parent for 10 years. In that time I’ve watched my kids learn and grow through building sandcastles, making mud pies and creating weird and wonderful things out of cardboard boxes. We have role-played countless tea parties, “mums and dads” and doctors, which is always handy when you need a lie down. And over the years many a painting has adorned my walls (even when I didn’t commission a mural!). Life is indeed colourful when you are raising little people of different ages and stages. Mine are two, six, eight and nine years old, so I’m constantly observing their growth and development and little quirks in their playing and learning styles. I am a big believer in play-based learning, from the early years to primary school and beyond. Outdoor play, musical play, sensory play, and messy play (that’s the type of play my kids love the most!) – if it’s fun, the learning’s happening. The artistic one: My nine year old. My eldest-born is perhaps the most artistic of the four. She favours arts and creativity and immerses herself fully into any creative experience. 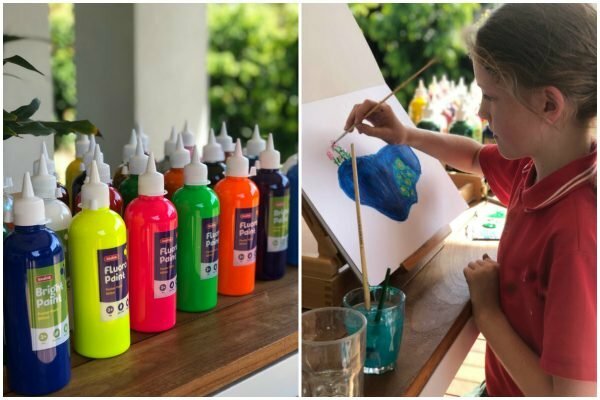 Give her some paint brushes, a blank canvas and she can while away hours of artistic expression. It’s a joy to watch her paint as she is entirely focused and present. In many ways it’s an example of mindfulness as well as art. Her aunty is an artist and I think my daughter has inherited her talent. She enjoys painting landscapes of places we’ve been to, and those that are in her imagination. The fluoro colours and glitter paints are her favourites from the collection. The numbers one: My eight year old. Numbers on the brain: Multiplication Bingo is one of our favourites from the collection. As they say, no two children are the same, even if they come from the same genes. My eight-year-old enjoys facts and numbers more than arts and crafts. She loves Multiplication Bingo, which is a game designed to teach kids their multiplication facts. The aim of the game is to beat the crocodile by covering all the answers on the mat before the complete pack of cards has been used. She played it by herself and with her younger sister, who needed some help. There were some mighty “Bingo” squeals of delight as they both beat the croc! And I loved that it came with four wipe-clean mats and 80 “durable” playing cards. They need to be durable as my two-year-old has a mighty strong grip (and a will to match!). The give-everything-a-go one: My six year old. The Learning Can Be Fun Take Note Laminated Currency and their Fraction Tiles (good for learning fractions...and stacking). Image: Supplied. My six-year-old has the right side and left side of her brain working in perfect harmony. She just loves learning. It doesn’t matter what the activity, she throws herself into it with vibrant enthusiasm. 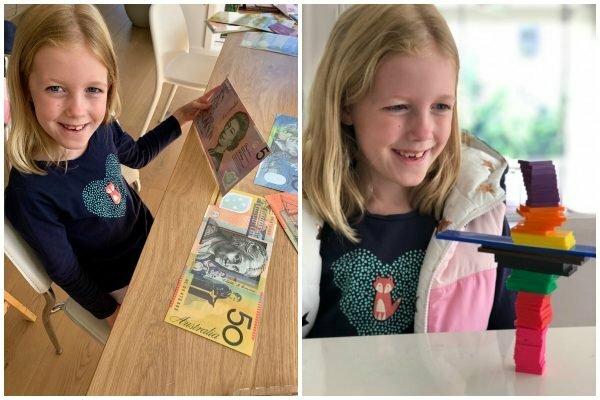 She enjoyed the flash cards and giant money notes - and I don’t blame her. Who doesn’t love playing with money, particularly when it’s not your own?! We had lots of fun together role-playing with the money - I think I paid for the most expensive coffee ever at $20! The messy one: My two year old. 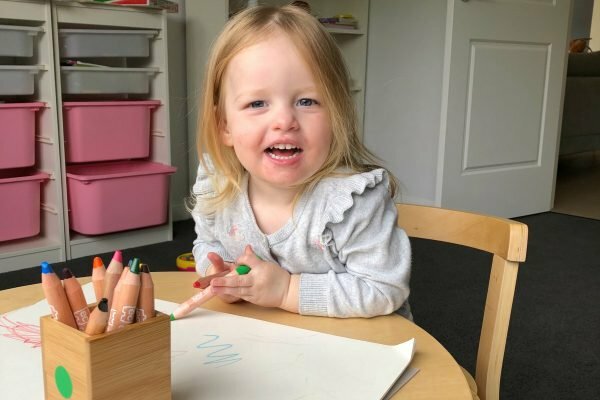 She&apos;s loving her Easi-Grip Crayons. Image: Supplied. As any parent of a toddler will know, toddlers just love messy play. Paints, glitter, stickers, glue and mud all spark joy in a two-year-old’s world. My toddler enjoyed the Easi-Grip Crayons and created some fabulous works of abstract art. Rather different from my nine-year-old daughter&apos;s masterpieces, but still masterpieces in their own scribbly right. Play is one of the most critical elements of early development and learning. The more fun a child is having, the more engaged they are in the experience. And the more engaged they are, the greater the learning outcomes will be. That&apos;s why I love watching them all play, at all their different stages. And when they play together, that&apos;s an added bonus. To see more of Officeworks&apos; Learn and Grow range, from arts and crafts to literacy and numeracy resources, for toddlers up to 12 year olds, visit officeworks.com.au/learnandgrow. 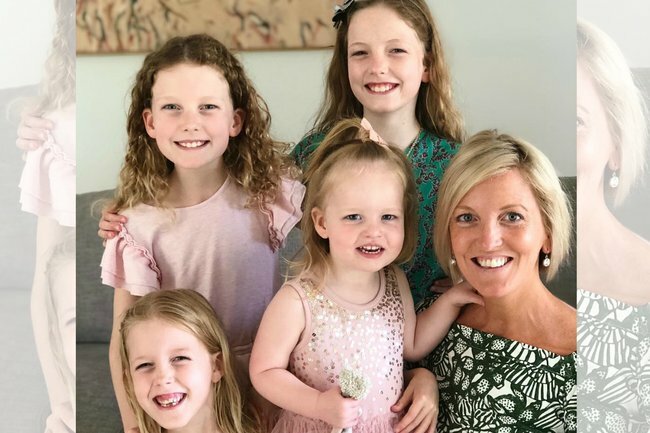 Michaela Fox is a writer, blogger and mum to four daughters. She muses on the magic and mayhem of family life on her blog wwww.notanotherslipperydip.com.